As part of my day Job I took a trip to Gibraltar while out there I was reviewing some of the country’s legalisation for a piece of work we were doing. While going through the Gibraltar Gov website I came across The Boy Scouts Act. 1. This Act may be cited as the Boy Scouts’ Association Act. 2. 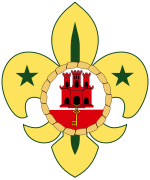 In this Act, unless the context otherwise requires – “the Association” means the Boy Scouts’ Association incorporated under the Royal Charter of the 4th day of January, 1912; “boy scout” means a boy scout recognised as such under the constitution, bye-laws or rules of the Association and includes also all officers of the Association. Restriction on use of the uniform, etc., of the Association. 3. It shall not be lawful for any person, not being under or subject to the bye-laws or rules of the Association duly authorized and entitled so to do, publicly to wear, carry or bear any uniform, badge, token or emblem, which under such bye-laws or rules are specifically adopted for use under the authority of the Association in such style and manner as to convey an impression that such person is under those bye-laws or rules entitled so to wear, carry or bear such uniform, badge, token or emblem. Boy scout not to exercise any illegal authority. 4. No boy scout shall seek or attempt by virtue of his wearing any uniform, badge, token or emblem of the Association or uniform, badge, token or emblem purporting or appearing to be such to enforce or exercise authority otherwise than in accordance with and as authorized by the bye-laws or rules of the Association. No person falsely to claim connection with the Association. 5. It shall not be lawful for any person to form, organize or work in connection with or to be concerned in forming, organising or in work in connection with any corps or body which, without the authority granted under the Royal Charter of the Association, claims or purports to be a corps or body of boy scouts or otherwise to be connected with the Association or which hold themselves out as, or pass themselves off as boy scouts or as otherwise connected with the Association. 6. A person contravening any of the provisions of this Act is guilty of an offence and is liable, on summary conviction, to imprisonment for one month and to a fine of £10. I am pretty sure that there is not a specific act in UK legislation there are other pieces of legislation that would in essence do the same thing. First is clause 4 Boy Scouts not to exercise any legal authority. Ok so we can pretend that there are some rogue beaver police force roaming around exercising their legal authority but it says “such to enforce or exercise authority otherwise than in accordance with and as authorized by the bye-laws or rules of the Association” I believe that the Gibraltar Scouts is part of the UK Scout Association. Therefore what authority are we allowed to exert under the bye-laws and rules of our organisation. I mean is there hidden in POR the right to bare arms in certain situations for example if the Guide Association start a Coup (there is nothing there I have checked). The second is clause 6 and this is the real kicker should you decide to not comply to the act, you could be imprisoned for 1 month and receive a maximum fine of £10. Sadly I was not in Gibraltar long enough or with enough free time to contact some scout but may on my next visit. Tell me what you think do you think a £10 fine and a month in prison is a fair punishment for someone pretending to be a scout.